Its easy to make a long list of all things wrong with the European Union, from the faulty design of the euro currency and the subsequent cack-handness and brutality in dealing with Europe’s debtor nations. You can also add in legal and judicial over-reach of the EU’s parliament and court and for good measure the failure to deal with the Syrian migrant crisis. Nevertheless, if Britain, with no financial preparation, no leverage in place to ensure trading access and no new strategic direction to replace EU membership goes for Brexit, the fall will be vertiginous. 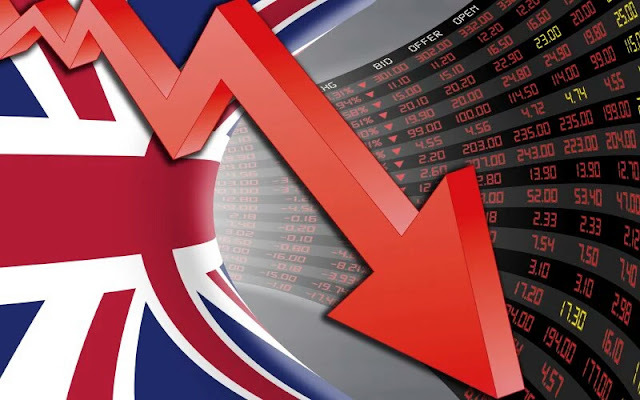 The British economy will suffer a series of heavy economic blows and the Brexit voting public, rather too late in the day, will turn on the politicians who campaigned for it. Boris Johnson will far more likely end up in the Tower than No. 10. One of the major Outer responses is to just respond to any concern expressed at the economic consequences of Brexit by calling it all scaremongering. A slightly more sophisticated Outer response is to argue that Britain was successful before it joined the EU in 1973, and will be successful outside after it has left. Even this response, however, overlooks the fact we are not now in 1973 but in 2016. We have more than 40 years of developing a network of trading relations with the EU, and through the EU. 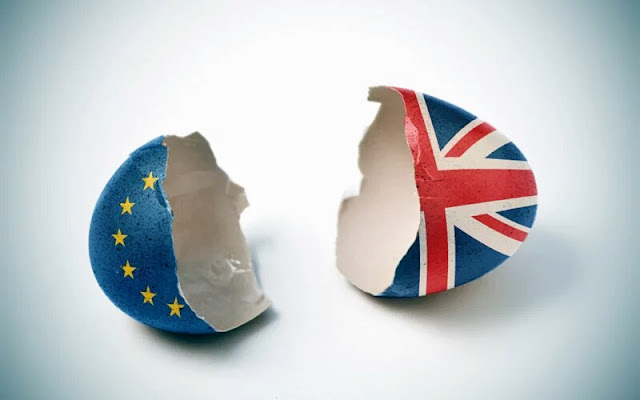 To now begin to unpick those trading relationships over a couple of years after four decades of building them will cause immense economic disruption and trouble to the British economy. There are three key factors which the Outers overlook or affect to ignore. First, the value of the single market to Britain: The Outers talk about free trade as if this was the solution to how we can trade with the world post-Brexit. The point lost by the Outers is that the single market gives far more than free trade. It does not just make all tariffs illegal, it also makes illegal any non-tariff barriers. So any rules, measures, or crafty administrative tricks a state uses to restrict trade between EU states are illegal. The European Commission can and does enforce EU law against states which try and stop trade using such barriers. Given Britain has an open trading economy, this deeper non-tariff barrier free trade ensures British business market access across the continent. The single market also includes non-discrimination rules which mean that British business has access to the whole of the public sector procurement market across the continent. The European public procurement market, if it were a national economy, would be the same size as the German economy. Most fundamentally of all, the single market open access rules are written into the EU treaties. The EU trading rules are therefore part of EU constitutional law. This means that the right to trade across the world’s largest market (the EU is the world’s largest market, not the U.S., not China) is constitutionally guaranteed. If any EU state tried to do what George W. Bush did to European (including British) steel in 2002, when it closed the U.S. market, it would face legal proceedings by the European Commission, public injunctions and civil damages claims by the affected firms. By contrast, the international trading regime is a weak legal beast, subject to much more political discretion, limited remedies, and is far less open. The second key factor is to recognize how really limited is the Outer-preferred alternative: the World Trade Organization. We can get a low tariff regime from the WTO, but it does not actually ban tariffs. It only has a limited control over non-tariff barriers and a limited non-discrimination regime and it only has a weak disputes settlement regime, where cases can be brought by states not individual businesses. It does not just provide far fewer trading rights and fewer effective remedies than the EU, it substantially applies only to goods not services. This is no small point. Around 40 percent of British exports are services. Hence, if Brexit occurs, Britain will be left with no obvious trading arrangement with which to continue to trade in services with the EU or indeed the rest of the world. The EU member states will have no particular need to do a deal with Britain over the trade in services, because if Britain joins the WTO, they will have market access for the majority of what they sell to Britain: goods. The EU can then deny Britain market access for services while continuing to trade with the U.K. in goods. Meanwhile Britain will have to begin to enter trade negotiations to ensure substantial access to the global services market which we currently obtain via the EU. As the recent Australia-China deal illustrates, these trade deals can easily take a decade. The third key factor, which has not gained any real traction in the Brexit debate is that EU membership makes Britain the foreign investment capital of Europe. One little known fact is that after the U.S. and China, the country with the largest amount of incoming foreign investment is the U.K. The reason the U.K. is globally number three is Britain is seen by foreign investors in the EU as the ideal jumping off point for the EU single market. Stable, open market, with the rule of law, strong business services, and crucially full access to the single market. There still will be some investment coming into Britain post-Brexit, but the real driver for foreign investment which has made Britain the global number three will have gone. If you take these three factors, losing the deep market access provided by the single market; the limited value of the WTO alternative and the prospect of a collapse of foreign investment, Brexit will set Britain into deep economic turmoil. What makes it worse is that British public debt is over 80 percent of GDP (before the 2008 crisis it hovered around 40 percent of GDP); the budget deficit is running at 4 percent of GDP and save in war time Britain has never run a current account deficit as large as the plus 5 percent of GDP it does today. As a consequence, Brexit is likely to not only cause a severe economic disruption to British trade it is also likely to trigger a major financial crisis. If Britain carrying such a heavy debt load—plus having a budget and current account deficit to finance—goes for Brexit which undermines its ability to earn a living in the world, the country will find it harder to finance its public debt and its twin deficits. Any post-Brexit government will face having to cut public sector budgets in health, welfare, and education on a far greater scale than Britain has faced since the end of World War II. To underline the financial dangers of Brexit, Standard & Poors announced two weeks ago that if Britain voted to leave the EU, it would cut the U.K.’s credit rating from AAA to at least AA. Such a move will cost British taxpayers as more of their money will have to be spent on paying interest on public debt than public services. Why Brexit Makes No Sense at All?